Hello! I have another card to share with you today using the Taylored Expressions November Stamp of the Month- In the Garden. 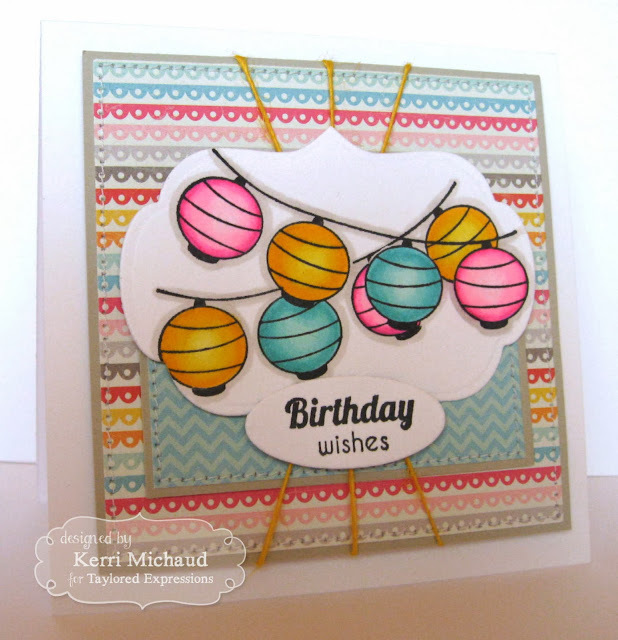 I just LOVE this stamp set and today I decided to use the fun paper lantern image. That's it for me today. I'm about to head off to my first day of work! I got a part time job at Home Goods-one of my favorite stores:) Wish me luck and have a fabulous Monday!